Brethren in Christ historians almost universally acknowledge Jacob (Yokeli) Engel’s role in the establishment of the River Brethren community in the late eighteenth century. One of the signer’s of the group’s first Confession of Faith, Engel likely helped found the new religious group before his thirtieth birthday. Here rests an old patriarch, whose labor in the work of God was with diligence. Now he is in his Father’s land. Jacob Engel was his name. His name is now much better. He lived and died a true Christian. . . . He now lives in eternal rest. Due to deterioration, the old stone was replaced by a new marker, preserving the English translation of the epigraph. 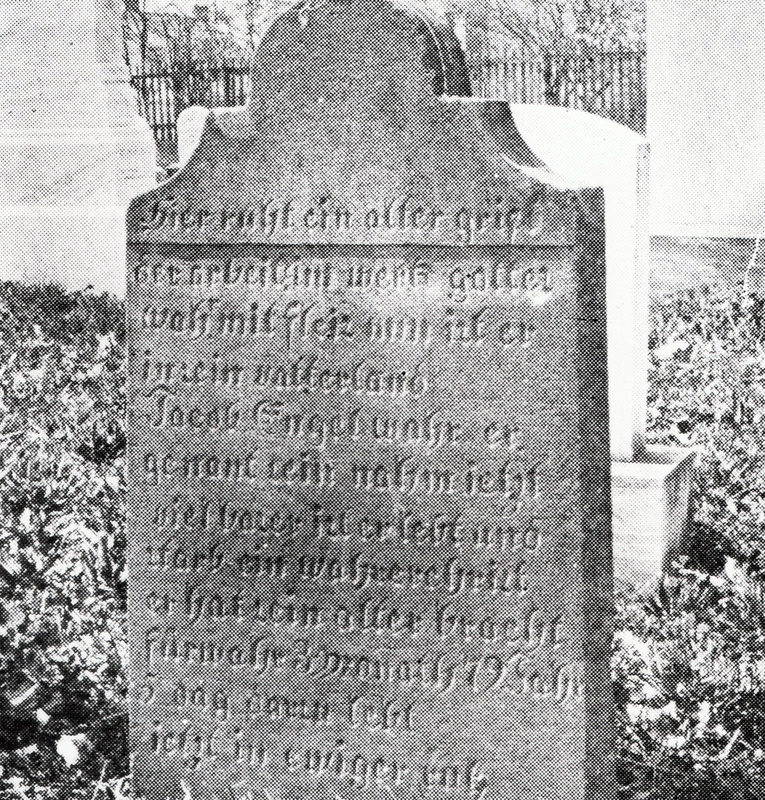 The gravestone stands in the East Donegal Cemetery near Maytown, Pa.
Pingback: Brethren in Christ Landmark to Receive Historical Marker « the search for piety and obedience.